This sweet air attack game allows to fight in the sky. Fly your plane through a storm of missiles and bullets into the war zone! Pick your airplane and start your mission against enemy attacks. Fly above multiple terrains to complete challenging tasks and fulfill your duty. Skies of war marked the return of Splaygame. If you already have a full range of genres that Splaygame has provided to the market, you should not miss this new category. 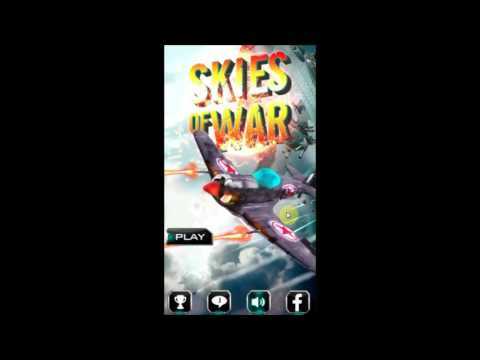 Built on the foundation of Unity, Skies of war is an awesome planes shooting game that blends the style and ideas of Arcade and RPG genres. 2D graphics with impressive features, and amazing fire and smoke effects. Most excellent bonuses and boost will help you propel your aircraft with speed and agility that can only be found in a game of this caliber. You must equipped with different weapons and missiles, to complete the mission impossible. 4 main types of planes with different features. 2 form of support for the fight. 10 maps, 90 levels and 90 missions. Share Point, share links via facebook game.